Published: Oct. 20, 2016 at 07:17 p.m. Updated: Oct. 21, 2016 at 03:45 p.m. Here we'll look where cornerbacks and wide receivers line up, which defenses are particularly susceptible to which player packages and so much more in order to find value with our fantasy players. As the season goes along we'll have even more data to use and a better understanding of the Next Gen Stats. Here are the top matchups that could bring value in Week 7. The Jaguars offense has been one of the most disappointing units in the NFL this season. Allen Robinson is producing but hasn't crossed 70 yards in a game yet despite scoring three touchdowns. Allen Hurns and especially Julius Thomas go quarters and games without even making a dent of impact. The running game has no rhythm at all. Much of the issues can be traced back to Blake Bortles, who after a 35-touchdown season in 2015 looks to have taken multiple steps back. Despite ranking a middling 16th in average time to throw (2.57 seconds), Bortles still has a poor 80.3 passer rating, has thrown seven interceptions and been sacked 14 times. We knew those mistakes were a part of Bortles' game. Even during his breakout 2015 season, he led the NFL in interceptions. However, this year he and his pass-catchers aren't complementing those with big plays. It's been a stark contrast this year. On the season Blake Bortles has a passer rating of 91.2 on throws of less than 20 air yards, but a 22.5 passer rating on passes traveling 20-plus yards in the air, where he's completed a dreadful four of 22 attempts. His passer rating on throws of 20-plus air yards ranks dead last in the NFL among current starting quarterbacks. He's tied with Philip Rivers for the second-most interceptions thrown on deep passes. If you want to know what's wrong with the Jaguars offense, it starts with their inability to attack defenses vertically. Unfortunately, it's been star wide receiver Allen Robinson who has been hurt the most. In this particular game, Robinson did incur several defensive pass-interferences, but this is a trend that spreads throughout the entire season. Robinson was a big-play maven in his breakout 2015 season and was one of the premier downfield threats in the NFL. The difference between that and what's happened this year could not be any more stark. Bortles has also been painfully inaccurate this season. That sort of hiccup in his play has limited his receivers' chances to get yards after that catch. The Jaguars receivers (among those who have played 50 percent of the snaps or more) rank 18th in yards earned after the catch. The accuracy has been a problem, particularly when throwing to Robinson, who has just 14.8 percent of those yards after the catch. With such a wide gap in opportunity and conversion, it appears that while Bortles and Robinson were on the favorable end of variance in 2015, they're both on the complete opposite wrong side of variance this season. While that's made for a rough start, we can also logically assume that some positive regression is coming their way. Bortles averages 14.1 intended air yards when targeting Allen Robinson, but has just a 9.6 completed air yards figure. There's so much room for progression in that completed air yards rate, especially for two players who demonstrated big-play proclivity in 2015. Week 7 will be a great chance for that positive regression to take place when the Raiders travel to Jacksonville. Oakland allows 319 passing yards per game, a league-high. After five games being on the rough side of variance, Week 7 should provide a chance for the Jaguars passing game to get right, at least statistically. If they don't, it might be time to assume that Bortles is broken beyond repair for the remainder of 2016. If you've been at all tracking Brandin Cooks on a week-to-week basis over his career, you know that he is one of the most volatile receivers in the NFL. Over his last 11 home games, Cooks collected 967 yards and nine scores on an 18.2 yards-per-reception average. Conversely, over his last 10 road games Cooks totaled 599 yards and three scores with just an 11.2 yards-per-reception average. These home/road splits positively correlate with Drew Brees' dramatic difference in his statistical output depending on where the game is held. However, further research shows that Cooks might be one of the more cornerback-quality sensitive producers at the wide receiver position. Pro Football Focus writer Scott Barrett discovered that Cooks collects the majority of his production against cornerbacks who run a 40-yard dash time slower than 4.45, and he's much less productive when lined up against those who are at that time or faster. The Next Gen Stats tracking also puts further credence to the assertion that Cooks struggles to separate from top-tier cornerbacks. In Week 3 Brandin Cooks lined up opposite Desmond Trufant on 29 pass plays (out of 54). Drew Brees targeted him five times but Cooks came away with just one catch for nine yards. In Week 4 Cooks had trouble with the Chargers star corner, Jason Verrett. Three of his six targets came when lineup against Verrett and Cooks created strong separation and recorded a catch on just one of those plays. In Week 7 the Saints travel to face the Chiefs at Arrowhead Stadium. The Chiefs defense ranks 10th in the NFL in passing yards allowed per game and have one of the best young cornerbacks in the NFL in Marcus Peters. So far this year, Peters has been one of the best young corners in the NFL. He's been targeted on just 30 of his coverage attempts and allowed just 16 catches, 186 yards, and one touchdown. Opposing quarterbacks often pay the iron price when picking on Peters, as he allows just a 43.9 passer rating on the back of his five interceptions. Marcus Peters (6-foot-0, 197 pounds) profiles as the exact type of cover corner who could give Brandin Cooks trouble. However, the Chiefs have rarely used Peters to shadow top receivers and he's played 88.6 percent of his snaps at the left cornerback position. On the other hand, the Saints move Cooks all around the formation. You'll also notice that Brandin Cooks accumulates the vast majority of his routes on go-routes. He's one of the absolute premier deep threats in the NFL, and his max speed (22.13 MPH) on his 98-yard touchdown from Week 1 is still the fastest recorded of the season on a receiving score. If there's one thing that Marcus Peters has shown some flaws in this season, it's a propensity to get burned deep by speed. Peters allowed a 53-yard reception to Will Fuller in Week 2 (19.47 MPH) and a 47-yard reception to Sammie Coates in Week 4 (21.6 MPH). Both Coates (third) and Fuller (sixth) check in with some of the lowest distance traveled per receiving yard gained on their completions, a metric that shows a relation with vertical route-runners. Even if Cooks does see Peters' coverage roll his way on a few routes, his speed could be an asset on go-routes in defeating the top-tier corner. On paper this looks like a spot to avoid starting Cooks since it's a road game and the opponent has a top-tier cornerback. However, since the Saints move Cooks around frequently he should avoid Peters enough times to have a solid floor on the day. Just don't look for Cooks to be able to do much when he runs routes against Peters or have the type of monster outings he did against the Raiders and Panthers in the Superdome. Elsewhere, with Michael Thomas taking the most snaps at right wide receiver spot (57 percent) on the team and likely to see the most of Peters, this could set up for a strong day for Willie Snead. Accumulating 79 percent of his routes from the slot, Snead should also be the safer dump off option for Drew Brees, whose struggles outside on the road continue to grow as his career goes on. Atlanta's struggles against the slot receiver position seemed to point to a big day for Doug Baldwin being on the horizon. That did not come to pass, however, as Baldwin saw the same amount of targets (five) as both Tyler Lockett and Jermaine Kearse, fewer than Jimmy Graham and C.J. Spiller, and collected just 31 yards on four catches. Heading into this week, Baldwin's outlook is a little hazy but it also appears he's in another solid spot to avoid the opposition's top cornerback. Patrick Peterson is one of the three best cover corners in the NFL and is one of the few true shadow corners. However, Arizona rarely asks the uber-athletic Peterson to track slot receivers and he's lined up in the slot on just 9.5 percent of his 2016 plays. Only five receivers have racked up more yards from the slot this season than Baldwin (273) and he lines there on 79 percent of his plays. So far this season the Cardinals have been hit or miss at defending slot receivers. With Patrick Peterson typically locking up top outside options, teams try to pick at Arizona on the interior and they allow the fifth-most receiving yards in the NFL to slot receivers. Yet, there is some risk in throwing on the middle of the field against the Cardinals, as opposing quarterbacks register a one-to-five touchdown-to-interception ratio what targeting the slot and receivers have just a 58.3 percent catch rate. The Cardinals did change up their defensive assignments in recent weeks to stop some of the bleeding yards to slot receivers. Pro Bowl defender Tyrann Mathieu started the season playing primarily safety, perhaps in an effort to get him comfortable again after a late-season ACL tear in 2015. After playing safety on just 33 percent of his snaps in 2015, Mathieu started the first four weeks of the 2016 season taking 88 percent of his snaps at the position. Starting with their Week 5 game against the 49ers on Thursday night, Arizona moved Mathieu back into primarily a slot cornerback role. In Weeks 5 and 6 Mathieu played 88.9 percent of his snaps at slot corner and just 7.1 percent as a safety. It's been a hit or miss proposition in the slot for Mathieu thus far. In his first game back at the nickel defender position, Jeremy Kerley gave him major troubles, particularly with sharp out-breaking routes. Baldwin could have a theoretical advantage over the Cardinals defense and Mathieu in the slot this week when the Seahawks travel to Arizona on Sunday night. Of course, Mathieu could just be rounding into form after an offseason of rehab and is still one of the best defenders in the NFL. He was much better in Week 6 against the Jets but didn't really face much of a challenge. This could be the game where he gets right and does strong work against Baldwin in the slot. Baldwin should have a solid floor in this matchup and we will certainly know much more about where Mathieu is at after Week 7. After starting off on an outrageous early hot streak, Marvin Jones came into Week 6 leading the NFL in receiving yards. The Lions receiver started to slow down his pace over the recent weeks, and he has just 47 receiving yards on six catches over his last two games. Jones faces a tough task to get back to his No. 1 wide receiver production pace in Week 7 with Washington and Josh Norman coming to town. Norman has been everything the team could possibly have wanted when they signed him after Carolina inexplicably removed the franchise tag from the Pro Bowl corner. Quarterbacks have a 68.9 pass rating when throwing at Norman this year. On 33 targets in coverage, Norman allowed 17 catches (51.5 completion rate) 209 yards and just one touchdown in the first six weeks of the NFL season. After seeing Antonio Brown and Dez Bryant wallop the right side of their defense (170 combined yards accumulated lined up at left wide receiver) Washington did stick Norman on Bryant for 10.9 percent of his plays in the fourth quarter. In the two games following that, Norman shadowed both Odell Beckham and Terrelle Pryor. Over their last two games, Norman went back to primarily playing left corner almost exclusively. Steve Smith's early-game injury and Jordan Matthews primarily being a slot receiver likely negated the need for Norman to shadow a receiver in Weeks 5 and 6. The question for Washington's matchup with Detroit is whether the coaching staff views Marvin Jones as a true No. 1 receiver and a shadow-worthy threat, or not. If Norman does not shadow Jones, he'll likely split time against Washington's top corner with Golden Tate. Jones takes 54 percent of his snaps at left wide receiver, but accumulated 64 percent of his yards and made most of his big plays from the right side of the field. Tate, on the other hand, plays out wide on the right on 42 percent of his snaps and 21 percent in the slot. Even when he does deal with Norman, Jones could prove an awful lot about his ability if he's able to beat Norman. Odell Beckham was able to get the best of him in their matchup, grabbing six catches for 107 yards off 10 targets in 28 pass plays covered by Norman. Terrelle Pryor got the best of Norman in the first half of their meeting, snaring all four of his targets against the cornerback for 42 yards and a score, but failed to register a catch against him on five second-half targets. This will be a big week to find out how opposing teams view the Lions wide receivers. If we see Norman track Jones all across the field, then it stands to reason the rest of the league now views him as a top receiver in the game akin to what his numbers say about him. If Norman sticks at left corner, then Jones should be able to get over on the other members of Washington's secondary. In a high-scoring game, it's worth chasing the ceiling of both Jones and Tate. The Chiefs duo of running backs come into a great spot in Week 7 facing a Saints defense that allows 109.4 yards per game to running backs and a league-high 10 scores on the ground. The problem is they also enter this game with little clarity on what their roles are. In Week 7, with both on the field and fresh off a bye week, Spencer Ware played 40 snaps for the chiefs to just 15 for Jamaal Charles. Ware handled 26 touches to Charles' 11. Observers waiting for that split to flip on its head for some reason are bound to be disappointed. Ware looks like a legitimate workhorse for this team, at the moment. On the season, Ware is a top-12 running back in both yards after contact (per Pro Football Focus) and a top-five running back in yards after the catch. Ware averages 5.3 yards per carry this year and his 46.2 receiving yards per game trail only three other running backs this year. We saw the full display of his powers in Week 7. Ware ranked third in the NFL last week in lowest distance traveled per rushing yard gained (2.9), which is a metric that shows a relation to downhill running backs that aren't wasting much motion in charging through the heart of defenses. On the season, Ware ranks 16th in this metric with a 3.23 mark. Ware was most effective when running out of the I-Formation, averaging a whopping 8.8 yards per carry on his attempts from that position. The Saints get ripped up in the I-Formation by good running games. They allowed 5-50 to Jonathan Stewart and 11-99 to the Atlanta duo out of the I-Formation in two of their last three games. Expect Ware to remain the primary back on Sunday, primarily because you can't put this genie back in the bottle. Ware has been too good to take off the field. Additionally, the Chiefs look like they want to save Charles for a late-season run and assure he's fresh in December for the first time in years. Right now, Charles isn't quite up to full speed. Even coming off a bye week, the veteran back only hit 17.61 MPH max speed last week, which would have been his slowest speed in a game during the 2015 season, outside of the game he got hurt (16.92 MPH against the Bears in 2015). Eventually, Charles will be a bigger factor in the game plan and he can certainly make some big plays against the Saints poor defense. However, all the evidence right now points to Ware holding onto a feature role. If the Jaguars weren't off to yet another slow start. Jalen Ramsey would be getting more publicity for having a dynamics rookie season. Ramsey has gone toe-to-toe with some top receivers so far, and has not looked truly overmatched in any given week. As Hank Jones of the Keep Choppin' Wood podcast notes, Ramsey has performed exceptionally well against smaller, speed receivers this season. Notably, he limited T.Y. Hilton in the Colts and Jaguars matchup in London. In 18 plays in coverage against Hilton, Ramsey limited the star receiver to just three catches and 11 yards on four targets. Ramsey's first true face-off with a big receiver came last week against Alshon Jeffery. The two dueled to something of a draw, as Ramsey did allow five catches for 84 yards to the Bears receiver, but most of that came in the first half and the rookie corner was stellar after intermission. In total Ramsey gave up the five catches on 10 targets over 36 pass plays and sealed the victory for Jacksonville when he broke on a Jeffery route to earn the final pass breakup on fourth down. Alshon Jeffery played 52 percent of his snaps from the left side against the Jaguars last week, so Ramsey should be familiar with defending that portion of the field. Cooper brings the game-breaking speed that Ramsey held up well against in his first few weeks this season but is also 6-foot-3 and 210 pounds and a chore to jam off the line. Ramsey vs. Cooper is quietly one of the best matchups to watch this week. After a dismal season out of their running game the Dolphins seem to have found something in Jay Ajayi as a feature back. Ajayi butted heads with the coaching staff all offseason as they tried like mad to replace him. When Arian Foster went down, he was clearly the best member of a dismal four-way committee, scoring the game-winning overtime touchdown against the Browns and running with authority against the Bengals on Thursday night. In Week 6 it all culminated with a dominant 200-yard rushing game against the Steelers, despite Foster being active. It's hard to overstate just how dominant Ajayi was against the Steelers, who boast a strong run defense. Ajayi finished fourth on the week in lowest distance traveled per rushing yard gained with 2.9. He totaled more yards after contact than any other rusher on the Week 6 slate. Even when the Steelers did dedicate extra resources to slowing him down, Ajayi averaged 11.4 yards per carry against eight-plus defenders in the box. Showing off his speed in the open field, Ajayi topped 17 MPH on four runs of 10-plus yards, including a career-high 19.78 MPH on his 62-yard touchdown. On Sunday, the Jay Ajayi that many of his believers coming out of Boise State wanted so desperately to see finally emerged in the pros. It would be best for the Dolphins to stick with the second-year back in hopes he continues to show the workhorse traits he demonstrated against the Steelers. Ajayi draws a tough task in Week 7 to sustain his momentum, as the visiting Bills allow the fourth-fewest yards per carry (3.45) to running backs in the NFL. 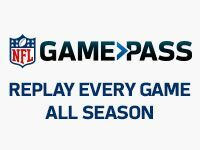 The New York Jets pass defense allows league-high marks in catch rate (72.4 percent) and yards per target (10.42) to the wide receiver position. Their 201.5 yards per game and 6.9 touchdown rate ceded to the position also rank in the bottom 10 among NFL defenses. Entering Week 6, no team had allowed more touchdown of 20-plus air yards than the five given up by the Jets. Last week was the first game in which the Jets did not give up a reception of 40 or more yards. Joe Flacco averages 16.9 intended air yards when he targets Breshad Perriman, but averages just 11.9 air yards on his completions to Perriman. There's a solid differential of five yards between the two figures. Odds are that the completed air yards will begin to trend more toward the intended air yards and more of the deep attempts will be completed. In their Week 7 matchup with the Jets, there's a great opportunity for that progression to take place. As long as Joe Flacco is fully healthy, Week 7 could be Breshad Perriman's breakout game.